I wrote about wood storks, Mycteria americana, back in August of this year after a trip to Isle of Palms in South Carolina (www.smokymountainnews.com/archives/item/8361-stoked-for-storks). It was really cool to see these large prehistoric-looking birds cruising over the marsh in undulating lines. And it seems that more stork lines must be undulating over more marsh and/or wetlands across the Southeast because the U.S. Fish & Wildlife Service just announced that they planned to upgrade the wood stork’s status from endangered to threatened. The wood stork is the only North American stork. This large wading bird can grow to nearly four feet in height with a wingspan of more than five feet. The large bare head is dark brown with a blacker face, which led to the colloquial monikers — gourd head and/or flinthead. The body is snowy white, and the flight feathers are black. Wood storks have large, thick, grey beaks that are slightly curved. Wood storks fly crane-like with neck and feet extended. They are fond of riding thermals, and where they are common one can often see flocks turning lazily in the hot late-summer skies. They tend to wander after nesting and while they nest from southeast North Carolina, down the coast to South America, post-nesting dispersal has sent them as far west as California and as far north as Massachusetts. The wood stork was officially listed as endangered in 1984. Loss of habitat due to the draining of suitable wetland habitats for agriculture and development, plus “improved” flood control methods, which dried up thousands of acres of overflow wetlands and swamps was the primary culprit. At the time of their listing, biologists estimated the number of wood storks to be around 4,742 pairs. Today’s population is believed to be between 7,000 and 9,000 pairs. Surely an increase, but the “gourd heads” are not out of the woods yet by any means. Jaclyn Lopez, an attorney for the Center for Biological Diversity, and Jason Lauritsen, director of Audubon’s Corkscrew Swamp in South Florida, have both expressed concern regarding the fact that while wood stork numbers are increasing in some areas and their range appears to be expanding, their numbers in traditional nesting grounds in South Florida are declining. “Despite the growth and expansion of the wood stork population, we continue to have grave concerns about the status of the Everglades and Big Cypress National Preserve colonies and expect the Service will continue important restoration to recover the species in its historic nesting grounds,” said Lopez. It is believed that the wood stork once nested across the southeastern United States and Texas. But by the time of it’s listing in 1984, it’s nesting grounds had shrunk to isolated spots in Florida, Georgia and South Carolina. Expansion of nesting areas in some of these states plus new colonies in coastal North Carolina are encouraging signs. U.S, Fish & Wildlife plans to formally publish its proposed listing change next week, and there will be a 60-day public comment period following the announcement. 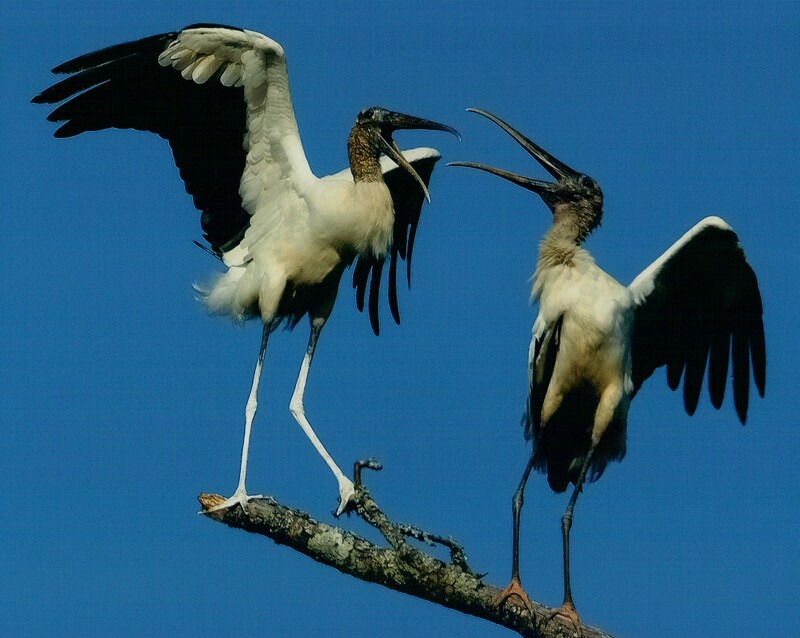 You can familiarize yourself with the wood stork’s saga at www.fws.gov/northflorida/WoodStorks/wood-storks.htm. According to the Fish & Wildlife Service, the proposal publishes in the Federal Register on Dec. 26, and at that time, you may submit information by one of the following methods: Online at the Federal eRulemaking Portal: http://www.regulations.gov.Follow the instructions for submitting comments on Docket FWS-R4-ES-2011-0020. Or by U.S. mail or hand-delivery: Public Comments Processing, Attn: FWS-R4-ES-2011-0020; Division of Policy and Directives Management; U.S. Fish and Wildlife Service; 4401 N. Fairfax Drive, Suite 222; Arlington, Va., 22203.